Relax in the Ottoman Mozart Crew Neck Jumper. The cosy knit has a ribbed texture, oversized fit and 3/4 length sleeves, casting a relaxed silhouette. The understated knit is finished with a subtle pinched detailing along the hem, adding interest. 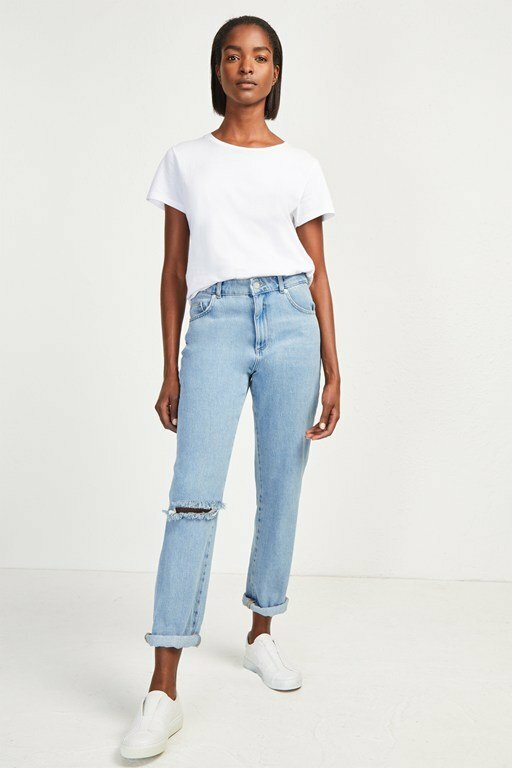 Style simply with jeans for easy everyday style.